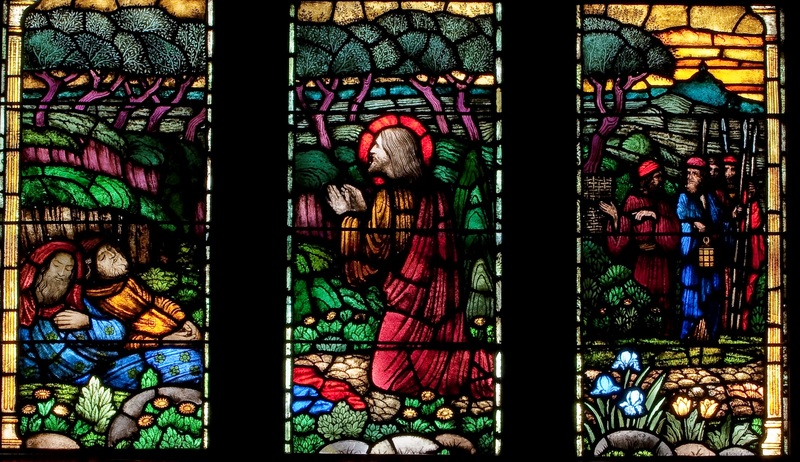 “Garden of Gethsemane” by Heaton Stained Glass, c. 1958. I’ve spent today in the graveyard. Why should graves make people feel in vain? I’ve heard that so much, and is so convincing, but somehow I can’t find anything hopeless in having lived—All the broken columns and clasped hands and doves and angels mean romances—and in a hundred years I think I shall like having young people speculate on whether my eyes were brown or blue—of course they are neither—I hope my grave has an air of many, many years ago about it—Isn’t it funny how, out of a row of Confederate soldiers, two or three will make you think of dead lovers and dead loves—when they’re exactly like the others, even to the yellowish moss? Old death is so beautiful—so very beautiful—We will die together—I know. To convince his love that he could understand her love of the South, he wrote a short story called “The Ice Palace,” which appeared in the Saturday Evening Post, 1920. In the story, there’s a female character named Sally, who is clearly meant to be Zelda. Sally sees her friends and they hear that she’s “gettin’ engaged to a Yankee.” They can’t figure it out and ask her about it. She says, “I don’t know. I’m not sure what I’ll do, but – well, I want to go places and see people. I want my mind to grow. I want to live where things happen on a big scale.” Joe came to Washington, where things happen on a big scale, and his career happened on a fairly big scale, though he would never have told you so. In 1975, he moved to Capitol Hill, bought a house, and began restoring it. Later, when he went to law school in Baltimore, he bought and renovated two more houses and kept on doing it. For over twenty years, he made his mark as in the law, tax and government affairs departments at AT&T and Lucent Technologies, and then got back into real estate. Unlike many in this town, one didn’t think of Joe primarily as “what he did,” as his career. Instead, one thought of Joe—a friend, a buddy, a fellow church member, a benefactor, a quiet advocate, a generous donor… all kinds of things—who happened to be an attorney, who happened to be a real estate agent. Back in that short story by F. Scott Fitzgerald, Sally tries to explain to her friend, “There are two sides to me, you see. There’s the sleepy, old side you love; an’ there’s a sort of energy—the feelin’ that makes me do wild things. That’s the part of me that may be useful somewhere, that’ll last when I’m not beautiful any more.” Joe spent time living into those qualities that last long after good looks, important titles, or even beautiful homes. That energy of his that was love will continue to live forever. The Gospel reading we heard a few minutes ago was chosen by Joe’s friends because it so truly describes Joe—his quiet, unassuming way of sharing with those who don’t have enough to eat, or the right things to wear; his way of visiting the sick and lonely, of standing up for those who have no voice, and of supporting those who most need it. As many of you know, we have been involved in a capital campaign and construction project, and throughout, there have been opportunities for people to contribute toward specific items and have a memorial plaque posted. Back in October, we received an email from Joe with the phrase “Early check-out” in the memo line. He was eager to get his affairs in order and asked how he might be helpful in our construction. Eventually, he decided to sponsor the removal of a large stained glass window, its cleaning, and re-installation in the new addition. When asked what he might like the memorial to say, he settled on this: “In Thanksgiving for my All Souls Family and For the Activities of Daily Life.” That plaque will go near the window in the addition and will remind us to continue to give thanks for Joe Priester in OUR daily activities, and to give thanks for all that he has meant to the All Souls family and to many other families. In that letter Zelda Sayre wrote to F. Scott Fitzgerald, she predicted they would “die together.” She knew it. But in actuality, they died somewhat tragically apart, and both, too soon. But perhaps she was talking about a larger context, the context in which beauty if found not only in life, but also in death, because death leads again to new life. We will think of Joe as we open and celebrate our new building and as generations in the future admire the beauty of the Gethsemane window and give thanks for Joe’s generosity. Joe will live on. Joe will live on in our hearts, in our memories, in our prayers, in our jokes and stories. And the Christian faith assures us that even now, he lives on in heaven—with his family and friends, in that enormous, never-ending party of love and laughter. Thanks be to God for the life of Joseph Bonds Priester. May he rest in peace and rise in glory. Amen.